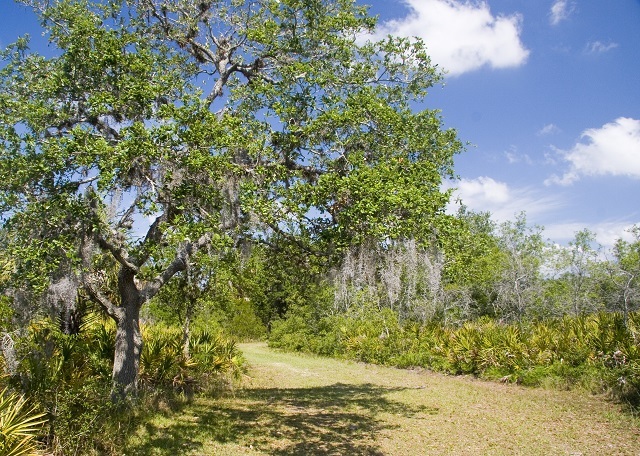 Bordered by Old Tampa Bay and Double Branch Creek, this peninsular park protects salt marsh, mangrove, freshwater marsh, maritime hammock and pine flatwoods communities, plus freshwater ponds, oyster bars, salt barrens and Native American shell mounds. Explore the park via hiking trails and boardwalks or via canoe/kayak; a launch on the east side of the park provides access to the creek and the bay. Waterbirds are this site’s strength. Scan the mangroves for Black- and Yellow-crowned Night-Herons, plus Roseate Spoonbill, White Ibis and Tricolored Heron. Red-shouldered Hawk, Red-tailed Hawk, Osprey and Bald Eagle hunt over the park. Also, watch for year-round residents like Northern Flicker, Tufted Titmouse and Blue-gray Gnatcatcher. Fall migration can bring warblers, grosbeaks, and buntings. Take time to peruse the nature center’s displays and exhibits.